"O Men of Dea, let a high mind and high courage rise within you now in the face of the battle"
One of the most famous battles of Irish myth is the Battle of the White Strand (Cath Finntrága/Battle of Ventry), in which Daire Donn, the "High King of the Great World", comes with a massed army assembled under various other kings with the purpose of invading Ireland and putting it under tribute. The story has its known origins in 15th century manuscripts, but there are references to it as early as the 12th century, and, as with many of our ancient stories, its true antiquity is unknown. With the might of the massed forces of the world against them, it might seem that the outcome is predetermined. However, the Fianna make an extraordinary and heroic effort, somehow managing to stem the tide, despite repeated assaults on the shore of Finntraigh by various sorties and a seemingly endless onslaught from the numberless armies of the world. Principal among the allies of the apparently massively outnumbered Fianna, although they are initially not involved in the battle and at the first petitioning appear uninterested in helping them, are the Tuatha Dé Danann. "There is a greater thing than this for you to do," said Bran; and he tells them the whole story. 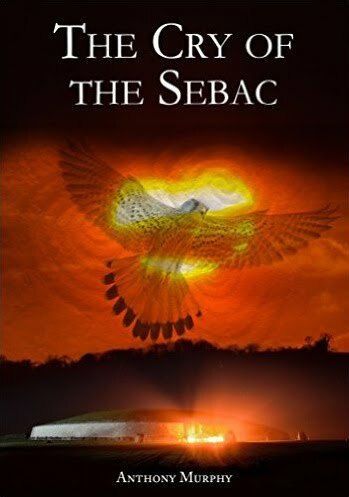 Sesnan replies, saying that his son Dolb will go to Bodb Dearg in Sidhe Bean Finn above Magh Femen. But Bodb Dearg (who presumably is the chief of the Dé Dananns at this time) is initially reluctant. "Young man," said Bodb Dearg, "we are in no way bound to help the men of Ireland out of that strait." "Do not say that," said Dolb, "for there is not a king's son or a prince or a leader of the Fianna of Ireland without having a wife or a mother or a foster-mother or a sweetheart of the Tuatha de Danann; and it is good help they have given you every time you were in want of it." 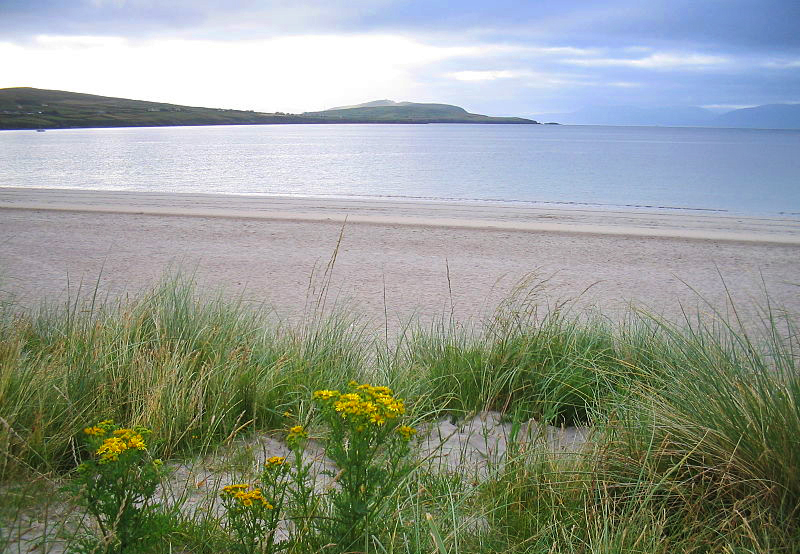 Ventry beach, the setting of Cath Finntrága (Battle of the White Strand). Photo: Christian Faulhammer. "O Men of Dea, let a high mind and high courage rise within you now in the face of the battle. For the doings of every one among you will be told till the end of the world; and let you fulfil now the big words you have spoken in the drinking-houses." "Rise up, Glas, son of Dremen," said Bodb Dearg then, "and tell out to the King of the World that I am come to do battle." (1) MacKillop, James (1998), Oxford Dictionary of Celtic Mythology, Oxford University Press, p.78. (2) The retelling of this part of the story is either quoted or paraphrased from Lady Gregory's Gods and Fighting Men. "I want to see again my wonderful mother, and to walk by the Boyne to Crewbawn and up through the brown and grey rocks of Crocknaharna. You have no idea of how I suffer with this longing for the swish of the reeds at Slane and the voices I used to hear coming over the low hills of Currabwee. Say a prayer that I may get this leave, and give us a condition my punctual return and sojourn till the war is over." Unfortunately, he never came home. He and five others were killed when a shell exploded beside them at the Battle of Ypres. 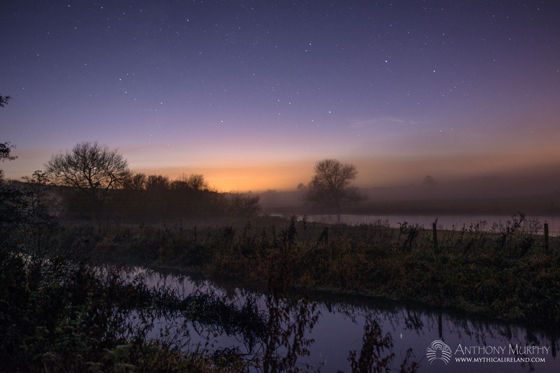 The Boyne Canal and River at Staleen at dusk, looking upstream towards Rossnaree (on the left). One of his poems, The Dead Kings, interests me greatly. And down the thorn the dews were streaming. Of ancient glory, sweetly told. But the starry dark had tints of gold. Of that Eire passed into song. And up aloft dim larks winged strong. In high green fields and the lowland furrow. And on the hill the morn stood queenly. A bomb burst near me where I lay. I woke, ’twas day in Picardy. Rosnaree (more often spelt Rossnaree these days) is on the southern bank of the Bend of the Boyne, overlooking the famous Fiacc's Pool, where Fionn Mac Cumhaill is said to have caught the Salmon of Knowledge. It is close to the river ford (áth) which would have been the main crossing point over the Boyne in ancient times. It is the place where the Boyne river swelled up so that Cormac Mac Art's body could not be brought to be buried at Brug na Bóinne. 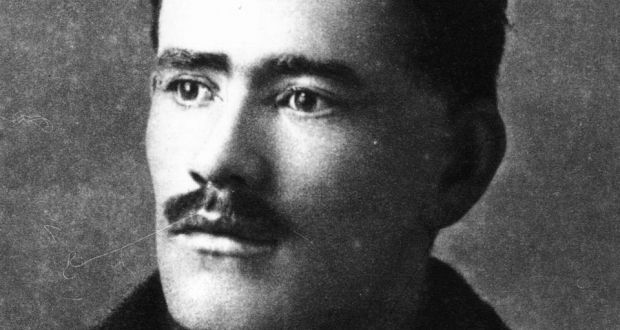 I wonder, when reading some of the lines of Ledwidge's poem, whether it is perhaps infused with elements of a familiar legend from Rosnaree, one that might involve dead kings and the spectre of a loud tramp of men returning to haunt its woods. Being a native of the area, Ledwidge would have undoubtedly been familiar with some of its stories. There is a legend about Rosnaree which tells of sleeping soldiers. It is a familiar story, being similar to that told about Garrett's Fort(1) at Hacklim, outside Ardee in Co. Louth. Rossnaree and the River Boyne from Bing Maps. Legends of a sleeping army waiting for a hero to come and rouse them for some great battle are present in other parts of Ireland too (such as at The Curragh, Co. Kildare, and Lough Gur in Limerick). Gearóid Iarla (Earl Garrett, Gerald) is sometimes the one who is the chief of the chthonic army. At Hacklim, some versions say it is Fionn Mac Cumhaill. The messianic theme of the legend in its various forms is overtly political, the clear premise being that a great leader from the past will return, from a supernatural subterranean domain, leading a great army to restore glory to Ireland. In the context of a country under the sway of foreign rule and oppression, it is no wonder that such tales might have been commonplace in Ireland. Ledwidge's opening lines, "All the dead kings came to me At Rosnaree, where I was dreaming" are suggestive that he is familiar with that location's mythic and perhaps even historic significance. Perhaps the dead High King Cormac Mac Airt was one of those of whom he writes. "There was a sound like moving shields In high green fields and the lowland furrow." Was Ledwidge, perhaps, describing the sound of the enchanted army of Rosnaree being awakened? However, the final lines of his poem are sadly prescient. "A bomb burst near me where I lay." He was killed on July 31st, 1917. (2) Marsh, Richard (2013), Meath Folk Tales, The History Press Ireland, p.164. This is perhaps going to be a blog post with a bit of a difference. I don't often talk about my dreams, but I've had a few very interesting ones lately, and my mind is bubbling with intuitive thoughts as I consciously (and perhaps unconsciously) try to extrapolate some meaning from them. A couple of nights ago, I dreamt I could see an old wall, or a portion of an old building. There was a storm, and the wind was very strong. As I watched, I could tell that this structure was going to collapse. And collapse it did. It came crashing down. I was greatly moved by this, and a sense of urgent duty compelled me to reach for my mobile phone, to call for help. I'm not sure who I was supposed to ring for help, but the words were there, on the tip of my tongue, ready to be shouted into the phone to anyone who answered. The remains of Mellifont Abbey, Co. Louth, founded in 1142 and dissolved in 1539. The location of my dream was not Mellifont Abbey. It was set in another tranquil and scenic location, a place,with which I am familiar, overlooking the River Boyne. However, there was no doubt in the dream that it was Mellifont Abbey that had collapsed. Its strange appearance and obvious dislocation may also have meaning, but for the moment I am concentrating on what seems to me to be the central import of the dream. 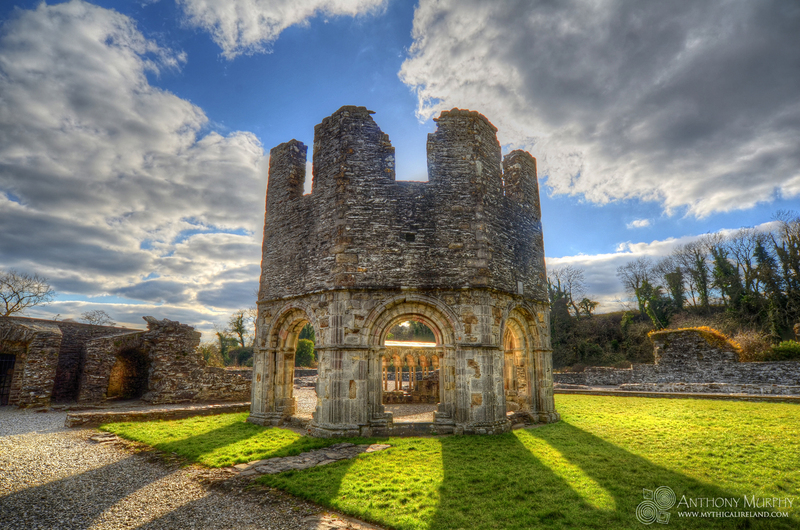 For those of you unfamiliar with Ireland and its history, Mellifont Abbey is one of those places that occupies a reasonably prominent and influential role in our past. A Cistercian monastery, it was founded in 1142 by Saint Malachy of Armagh and went on to become the largest Cistercian abbey in Ireland. It is located on the banks of the River Mattock, a tributary of the Boyne, and is located just over 5 kilometres (3.3 miles) north of Newgrange. Donnchadh Ó Cearbhaill, king of Airghialla, granted the monks the site for their abbey and the lands with which it was endowed, in the 12th century. It was around that time that the monument we know today as Newgrange assumed the name by which most people now know it. The "new grange" of the Cistercian monks contained this most auspicious monument of ancient Ireland, the one previously known by several different names and variations thereof. Today, it is simply known as Newgrange, but I wonder how many visitors to Newgrange know any of its pre-Medieval names. The 'New Grange', originally known by various names including Síd in Broga and Brug mac ind Óc. A couple of months ago, I watched a beautiful documentary on the Irish language station TG4, called Fís na Fuiseoige (The Lark's View). (6) It was an exploration of the deep connection between Irish people and their places. In it, one scholar suggested that the anglicisation of many Irish place names by the English had helped to undermine this sense of connection, and, by extension, we could propose that a sort of disempowerment had taken place. Did the same thing happen when Síd in Broga became Newgrange? Did it lose some, or all, of its power for people? I believe that something of its importance was diminished by that renaming. The Cistercians experienced their own disempowerment with the dissolution of the monasteries in the 16th century. Mellifont was dissolved in 1539 and today it lies largely ruined, although small but impressive remnants survive, including the much-photographed and documented Lavabo, or wash room. In terms of a direct, literal portent, the dream could hardly refer to a physical collapse of Mellifont, for there is not much left to collapse. The Cistercian order does survive, to this day, at the nearby New Mellifont Abbey, in the nearby village of Collon (on land which was part of the original Cistercian grant), which was founded in the 1930s by the surviving Cistercians from Mount Melleray Abbey in Co. Waterford. Fascinatingly, although long renamed, the "New Grange" of the Cistercians had not altogether relegated nor eradicated the older names of the monument, even in the late 19th century, when Borlase mentioned that the place name Bro/Broe, presumably a survival of Brug/Brugh/Brú, still existed in the vicinity of Newgrange and the Bend of the Boyne. There was (and still is today) a Broe House near the river beneath Newgrange. Borlase quotes a Mr. O'Laverty, writing in the Journal of the Royal Society of Antiquaries of Ireland, who had spoken to a Mr. Maguire and his son, of Newgrange, who told him that "the field in which Newgrange tumulus stands is called Bro Park" and that in the immediate vicinity of Newgrange are the Bro Farm, Bro Mill and Bro Cottage. It appears that some things are not easily forgotten! You can listen to me reading an extract from Borlase's Dolmens of Ireland about this Bro/Broe place name in the audio clip below. 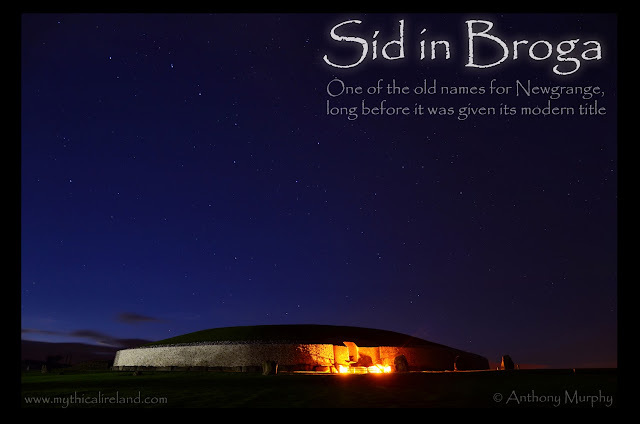 I'm not entirely sure how the connection was made in my mind, but since I had the dream I've been thinking that it is, at least in part, related to the renaming of Síd in Broga to Newgrange. And I cannot help entertaining the thought that the renaming was not necessarily a deliberately sinister or suppressive act on the part of the Cistercians, but that it was merely coincidental to the long and slow degradation of the mythic and sacred importance of this monument or sídhe that we have come to know as Newgrange. For Síd in Broga slumbered in the shade for great ages of this world, and through many times of turbulence and transformation the áes sídhe kept a quiet watch on the comings and goings of kings and chieftains and religious orders from the unknown hidden realms beyond its doorway. The Tuatha Dé Danann encountered many "invaders", according to the Lebor Gabala (Book of Takings), and it was the Milesians, arriving from Spain, who finally dispossessed them of Ireland. But it was an incomplete dispossession, because in their armistice with the Dé Dananns, the Milesians empowered them for eternity when they granted them possession of the sídhe. Failing to understand the gravity of this lack of foresight, the Milesians guaranteed the undying Dananns a special immortality. They may have been removed from the physical landscape of the invaders, but in the realms of dream and song and netherworld, they assumed a transcendent elevation of extraordinary proportions - something that legitimized and prolonged them and ensured their vitality for countless generations of people for whom they remained (and still remain) a very real presence. And so, in the dying light of an apparently vanquished Dé Danann world, the sidhe which had kept hushed for centuries its remarkable secret of hidden realms and banished gods had even been made to suffer the ignominy of the loss of its name. And thus, through deliberate act or unwitting insult, the Cistercians became another in the long line of "arrivers", or invaders, or takers, to attempt by guile or gullibility to degrade and dispossess the stony vault of Síd in Broga of its divine and sacred import. And what is that import? That there survives in people, even today, a light, a sacred essence, a revered and inviolate aspect, which derives originally from the very best facets of humanity. This aspect preserves the wish to initiate oneself into divine realms, with the express aim that one can be of service to one's greater community. The sacrifice of the Dé Dananns was immense. They yielded ownership of the beautiful Éire, the land we are so blessed to call our home, in order to avoid another war. They were weary of their encounters with the Fir Bolg and the Fomorians. With their blessing, the Milesians would become the new caretakers. But they were only custodians. Their time would come and go with the waning of the years. 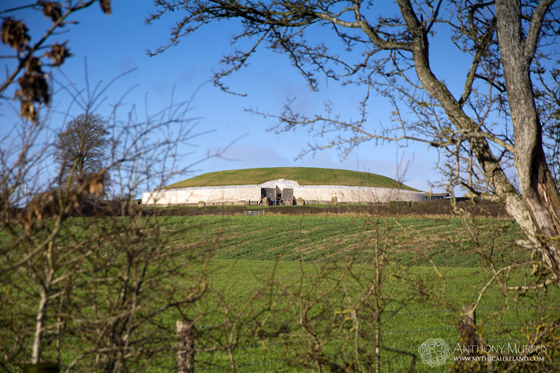 In the past century, Newgrange has been unearthed and restored. Given a facelift, it has emerged from the rubble of its forlorn and dormant state. After five millennia, its secret crystal bower receives the golden sunlight once again on the Winter Solstice. The great sídhe has experienced a resurrection of sorts. The Fir Bolgs and the Fomorians were vanquished. Cessair and the Partholonians perished. The Vikings and the English came and went. And the Cistercians changed the sacred name of Síd in Broga to the newfangled Newgrange. But the Dé Dananns never died. Even in the hushed ages of their belittlement, they emerged as the diminutive fairies, the "good people", and danced and sang with unrestrained merriment around their ancient hollow hill in the midnight moonlight. Is it too bold a proposition to suggest that Newgrange be given back its old name? If we call it Síd in Broga once again, perhaps those diminutive fairies will arise in us as the unvanquished gods of our better nature, ready to bring light back to a somewhat darkened world. (1) Stout, Geraldine (2002), Newgrange and the Bend of the Boyne, Cork University Press, p.86. (5) O'Kelly, Michael J. (1982), Newgrange: Archaeology, Art & Legend, Thames & Hudson, p.25. 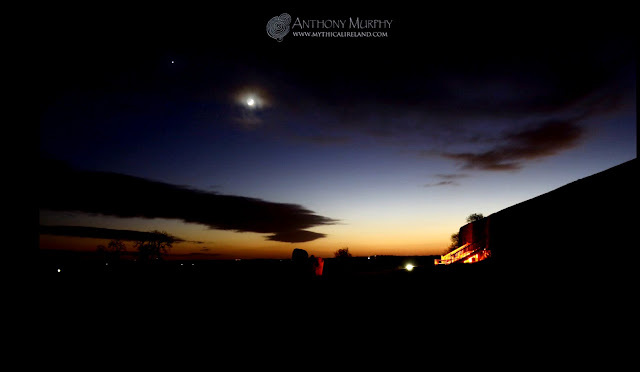 The first evening of the new year was a glorious one at Newgrange in the Boyne Valley. The first sunset of 2017 was magnificent, followed by a descent into twilight that featured rich hues and colours, and then the crescent moon next to Venus, the Evening Star, made it a really gorgeous close to the day. In a couple of the shots, you might also catch a glimpse of Mars, which was trailing the Moon and Venus. I was lucky to be able to spend time there putting together this very special time lapse video. It might have been cold, but it was lovely. Enjoy watching this time lapse with music to match. 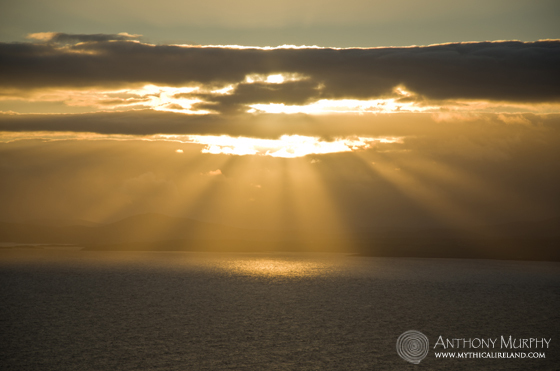 You will see the sun setting behind Réaltoge Hill, and the last tourists of the evening departing from Newgrange, before seeing the gradual arrival of twilight and darkness. Shot on four different cameras from six different vantage points over the course of four hours. Well worth the effort, I hope you agree. This video captures some of the essence of a place that, as a sacred monument, sees hundreds of visitors every day, but which once evening falls becomes a lonely and lovely place. What could be better than to watch the sun, moon, planets and stars from Newgrange, where our ancient ancestors did likewise?